Garden of the Gods is a registered National Natural Landmark located in Colorado Springs, Colorado. Reminiscent of Moab, Utah, the Garden of the Gods features 300 foot rock formations against one of Colorado’s most famous 14ers, Pikes Peak. It is recognized as the most visited attraction in the region. Education abounds in the Visitor and Nature Center and museum, where you’ll find interactive exhibits. 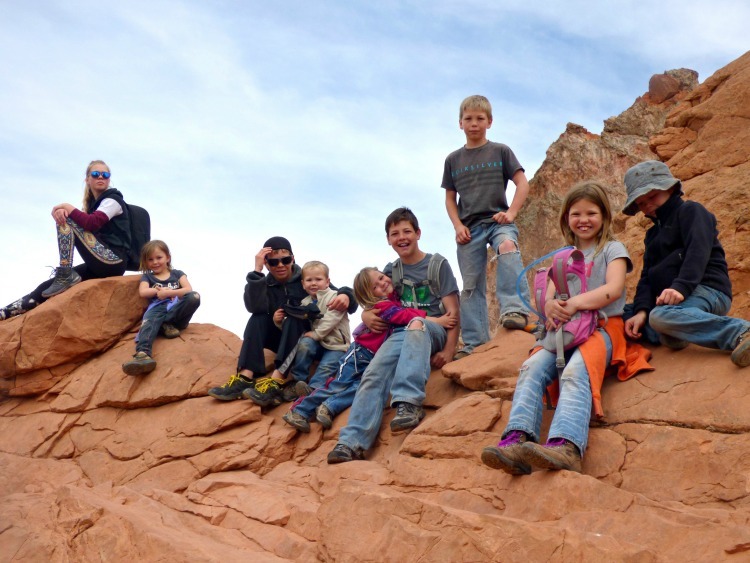 Whether you’re interested in geology, ecology or cultural history, your family will walk away from a visit to Garden of the Gods with an education to rival any you will find in a classroom. Despite the fact that we are Colorado “natives”, none of us had ever really experienced Garden of the Gods in Colorado Springs. We have been there before, but that was as a road trip stop to let the kids run out and expend some energy. This was before we started RVing full-time, and none of us really remembered the experience. Hence, when my husband, Dan, had to travel to Colorado Springs to attend the State Convention, I planned a fun few days in “The Springs” for the kids and me. 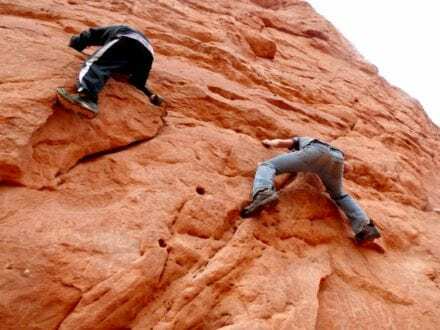 We are avid boulderers (climbing without ropes) and so one obvious Colorado Springs location for us was Garden of the Gods. With 15 miles of trails to enjoy, hiking was the obvious place to start! 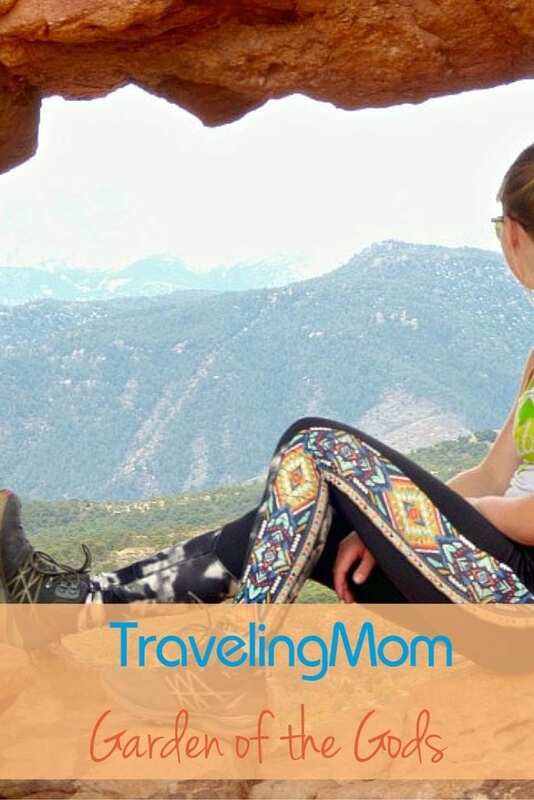 We hit the Visitor and Nature Center for a trail map, then picked the hikes that sounded the most fun and offered opportunities for some bouldering. We chose the easiest and most accessible trail first, Perkins Central Garden Trail. I wouldn’t really call it a trail, it’s a paved path, and accessible to strollers and wheelchairs. We even saw some kids longboarding. The PCGT (I just made up the acronym) is a 1.5 mile loop that takes visitors to some of the most popular landmarks. It’s a fun path featuring some of the tallest formations. However, to our chagrin, signs were posted everywhere that climbing is forbidden without a permit and proper climbing gear. Still, there were a few places for some covert bouldering, but we moved quickly from this area to the more strenuous remote trails. Another fun yet super easy trail is the Siamese Twins Trail. This is much more like hiking as it’s a dirt trail, yet it’s only about one mile round trip. We were excited to see horses on this trail; the riders even stopped to let the kids pet them! This spot is pretty surreal as the view through a window formed between the two rock formations making up the Siamese Twins is spectacular! 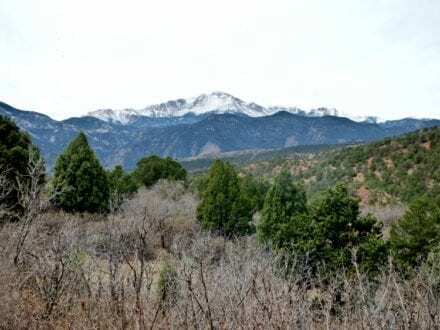 From here you can see the snow-capped mountains of the famous Pike Peak range! As always, when you set off to hike, especially with kids, make sure you wear comfortable shoes, carry enough water, and bring snacks. Kids love snacks and it’s a good way to ensure they don’t crash and burn halfway through a hike. 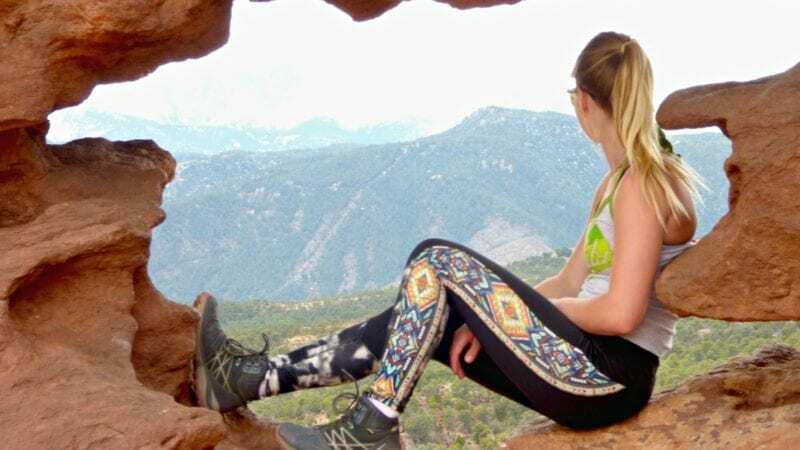 Rest assured, hiking in the Garden of the Gods is not a strenuous adventure, yet it is fun and easy going, perfect for an intro to hiking!! 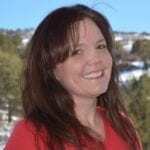 As a road schooling, homeschooling mom of 12, I am “all about the education”. 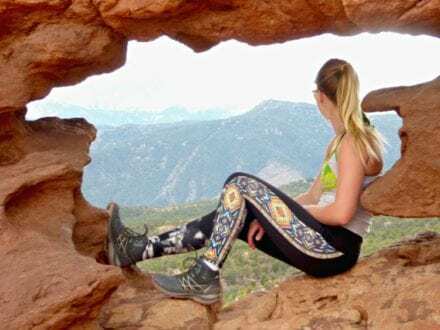 We seriously make every effort to incorporate organic learning everywhere we go and some places like Garden of the Gods make this seemingly daunting task super easy. Now geology is one of those “subjects” that is tortuous in a classroom, but when it’s a hands-on, fun adventure, geology comes to life. We (read I) read a little about the Garden of the Gods prior to our trip, and I discovered there were fossils to be experienced in the park! This opened up an opportunity to talk about the different rock types, the processes in which fossilization occurs (I learned something new too), rock layers and how the formations transformed to what we see now. Of course, we scoured the rocks and didn’t find any fossils, but we sure had fun searching for them. It gave the kids a much-needed excuse to climb just a little higher than socially acceptable. We also recalled what we had learned in Moab, Utah, about the various plants and wildlife we encountered and discussed what we could expect to see in the Garden of the God that was the same and what could be different. Our younger kids really enjoyed tracking squirrels and chipmunks! 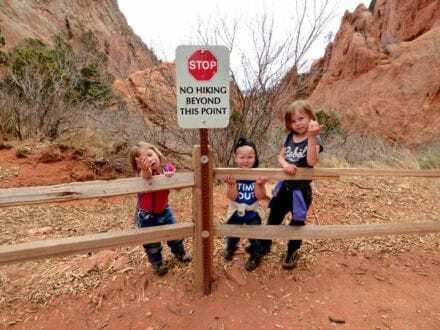 The Garden of the Gods Visitor and Nature Center is quite impressive, which is high praise from this hard to impress education snob! I am a huge advocate of getting kids outside where they can explore God’s creation and discover not only the wonders of the world, but explore who they are and what their skill set is, all the while learning from doing and experiencing. I’m not a huge fan of museums or concocted Visitor Centers. I prefer organic, raw settings. That said, The Garden of the Gods Visitor and Nature Center was fantastic. It included eye-catching and interactive exhibits such as The Mountain Majesties, Colorado’s Geology, The Garden of the Gods Rocks, Traveling continents, and my favorite, The Theiophytalia kerri. What is the Theiophytalia kerri? It’s an entirely new dinosaur species! I was fascinated! The Garden of the Gods Visitor and Nature Center also featured an incredibly interesting section of People and History. This section included information on Colorado’s Native Americans and the Early Explorers. Price: The park is free. Park Hours: May 1 – Oct 31, 5:00 a.m. – 11:00 p.m.; Nov 1 – April 30, 5:00 a.m. – 9:00 p.m. Climbing: Free, though you must fill out a form for a permit and have proper climbing gear! Pets: Dogs on leashes are welcome! Now get to planning that fun family weekend chock-full of fun and well-camouflaged education!